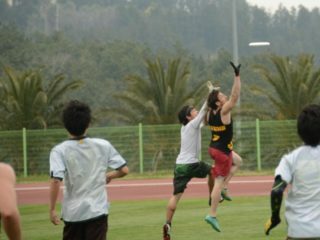 In 2009, the men’s ultimate team of the University of Florida was the top-ranked squad in the country. They had a run of impressive tournaments, including Vegas and Stanford, but at the most crucial point in their season, things went horribly awry. At Regionals that year, they lost to Virginia in the semifinals and then were eliminated in the back door bracket by NC State, denying them entry into Nationals and dashing the then-realistic hopes at a national championship. One year later, however, in 2010, that goal was achieved in dominating fashion as a powerhouse Florida, led by Brodie Smith, beat Carleton 15-12 in the title game. Number one teams get upset and eliminated across all sports, collegiate and professional; it is the nature of athletics and one of the things that make games with highly ranked teams so interesting. The cinderella, underdog, and upset stories are always big news. But it isn’t often that a top team gets upset one year and rebounds to win it all the next. So many factors contribute to a team’s success year to year, especially in the rapidly changing and extremely competitive college world, that making the national tournament itself is a great challenge, especially after a heartbreaking season end. 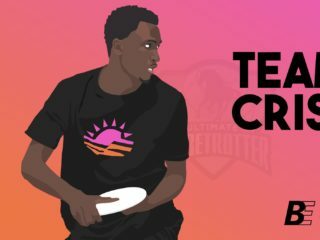 Last year, Minnesota Grey Duck was on top of the Skyd and Ultiworld rankings and, in a three-bid North Central region, was expected both to make Nationals and make a run at the title. Ultimate players and experts were wondering, was this year that Minnesota could escape the shadow of perennial powerhouses Carleton and Wisconsin not only to win the region but also win the country? Grey Duck proved their mettle in the Conference Championships, knocking off CUT for only the second time in school history. But the North Central Regional Championships- arguably the deepest and most challenging region every year- were a different story. 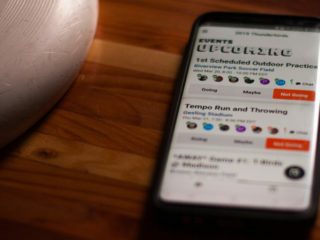 In traditional fashion, weather was a major factor at the tournament, with teams battling high winds and muddy fields. Things went smoothly and as expected on Saturday as Grey Duck rolled through their pool. But Sunday was a different story; Minnesota beat Iowa State by one point in the quarterfinals before losing to Carleton in the semis. An upset loss to Iowa in the backdoor semis ended Grey Duck’s season. Can Minnesota rebound in 2014 and make the Nationals? Or can they go further and dare to do what Florida achieved in 2010? Or, like other teams that have fallen, will they be denied Nationals yet again? Tallis Boyd, a former Minnesota player and captain, takes the reins as head coach of Grey Duck this year after assisting in coaching last season. He plans on taking it one step at a time this season with the squad, but believes- if all goes as planned- that you’ll be seeing his team in Cincinnati in May. That’s not to say there won’t be challenges, but Minnesota is ready to take them on. Grey Duck has been establishing itself well in the last ten years; before that, the program was on the brink of success but lacked Nationals experience. The growth of the program and the creation of strength bids have helped Minnesota make Nationals three times in the last five years with quarters appearances in 2010 and 2012. The North Central features the likes of Carleton, Wisconsin, Iowa, Luther, Minnesota-Duluth (all Nationals contenders in the last five years) and a score of other hungry teams on the bubble, ready for the upset. “Our region is so competitive, so tough every year, that just to compete in our own region means that we are prepared to compete nationally,” says Boyd. Boyd describes the team as focused, but fun. “We compete with intensity,” he says. “We train hard, we take nothing for granted, and work to earn everything, but one of the best qualities of this program is that we don’t take ourselves too seriously and we thrive on goofy energy.” The team members take pride in their uniqueness and believe their recent successes are as much due to their unorthodox and fun chemistry as to their on-field strategies and skills. Iowa knew Grey Duck would be a formidable opponent. The previous day they had a terrible, mistake-filled game and Minnesota pulled away early, winning 15-5. But on Sunday at Regionals, in an elimination game, everyone knew that the rivalry and the history between these two teams would make the match a close battle. Indeed, Iowa would be the team to knock Minnesota out of the tournament. In the end, it came down to who made the fewest mistakes and the most plays. Iowa, led by ferocious play from returning star Jake Kersten, was the team that came out on top. 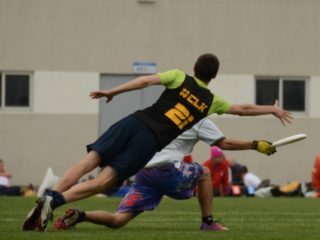 With the college division becoming more competitive each year because of even more parity arising as new teams gain elite-level experience and prominence, and the gauntlet of North Central Regionals always looming, there will be plenty of obstacles in Minnesota’s path on the long road to Memorial Day. Yet players from the top teams in the region and indeed, around the country, expect a ferocious return from Grey Duck. Grey Duck knows that to return to Nationals they have to put in the work now, in meaningful regular season games. Bids are essential in the North Central; winning the region is the only guaranteed way to advance. 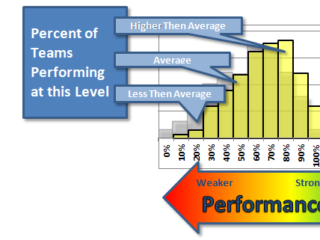 Achieving this goal– as all teams in the region know– is a monumental task that can signal a team’s readiness to not just compete, but to win at the highest level. A North Central team has made 12 National’s finals appearances in the last 15 years; six have captured titles. The competition is fierce and each strength bid earned is another chance to escape the regional chaos. Minnesota started its season at Florida Warm-up in February with a strong showing, losing only twice while racking up wins against Wisconsin, Tufts, and UCF– a good start. But later season results– as well as matchups against currently top-ranked competition– matter the most and these things come in plentiful amounts over the next two weeks. As Grey Duck heads to both Centex and Easterns, eyes will be on Minnesota. Everyone knows that for the team to earn a strength bid, they need to keep winning against the best. Regardless of bids earned, however, the team will have to face the North Central later this year, where the final results are as unpredictable as the midwestern spring weather.